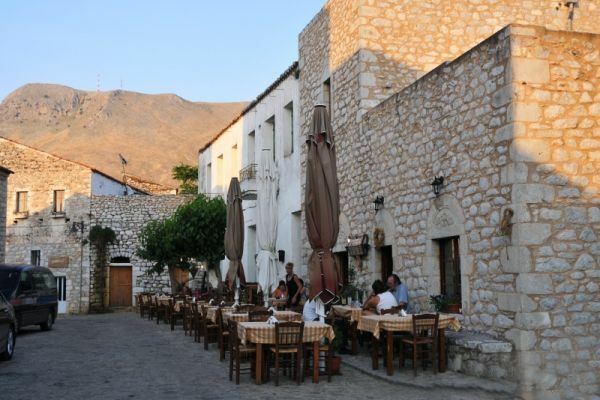 Itilos is a very pretty village located seven kilometers from the capital of Itilos Municipality, Aeropolis. It is named afters the mythical hero Itilos who was from Argos and was the son of Amfianakta. 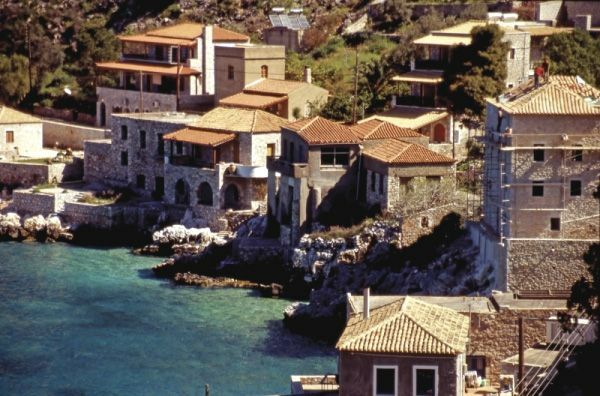 Itilos has been continuously inhabited since antiquity, since the time of Homer up until now. 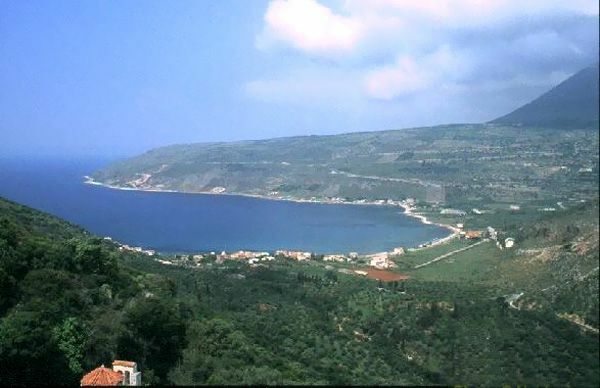 Specifically, from the time of Homer, sources mention that Itilos was part of Menelaos’ Kingdom. 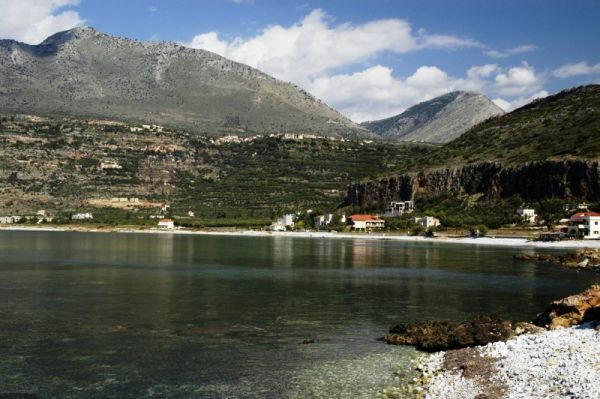 Remains of ancient relics and inscriptions have been salvaged, especially around the beach where it is believed a temple of Serapidos once stood. During the time of Turkish rule, eminent families settled there such as Byzantine Komninos (Stephanopoulos) princes and the Medicis or Giatrianis. The period between 1672 and 1674 saw waves of refugees. The Giatriani family emigrated to Tuscany and the Komninos-Stephanopoulos family moved to Genoa. Members of both families settled on the island of Corsica. In the village square, there is a plaque with an inscription proclaiming Itilos as a sister town with the Corsican town of Cargese. 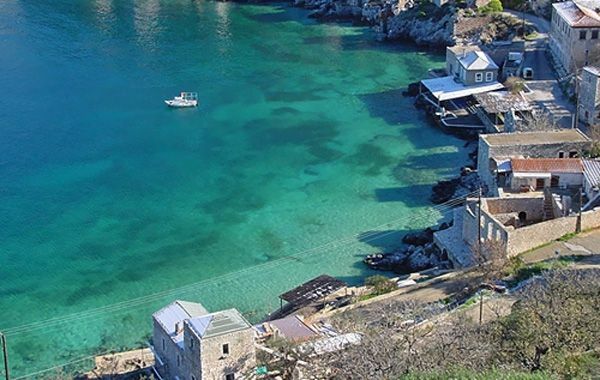 In 1770, the admiral of the Russian navy, Thedoros Orloff, anchored here. Along with the Mavromichalaios family, Orloff started the 1770 revolution. 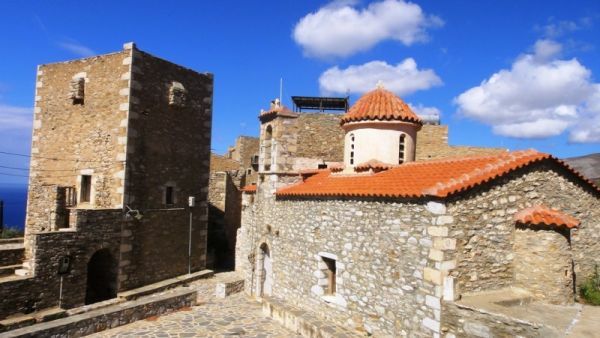 The relevant agreement was signed at the Dekoulou Monastery. On the west part of Inner Mani, the ground’s morphology is rugged. 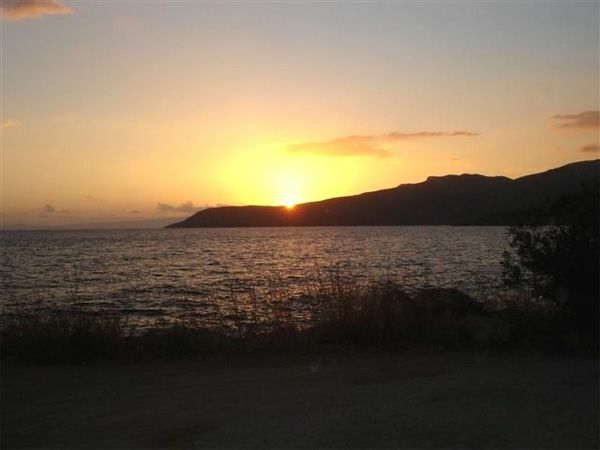 It is a unique area, very picturesque with mountains that stand in the middle of the peninsula. With hanging rocks and cliffs that drop down into the crystal clear sea, fiords and caves have been formed along previously sandy shallow beaches or beaches with white pebbles and deep waters. The climate is dry but is mainly cool in the hours of the morning which is conducive to the cultivation of a range of fragrant plants and trees of low vegetation. The air is pollution-free. The area is sparsely populated by 5,000 permanent residents in the winter. The rejuvenating fresh air combines aromas from the sea with sage and thyme. Narrow, winding roads and dozens of paths lead to a magnificent view. 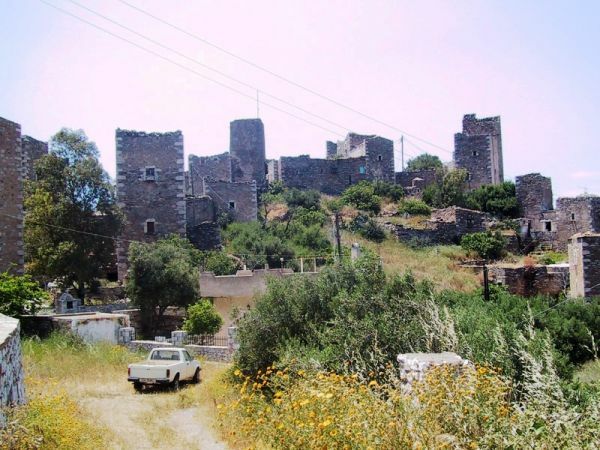 There are about 85 settlements made of stone, most of which feature towers and tower houses made with stone and built in rare, traditional country style architecture. 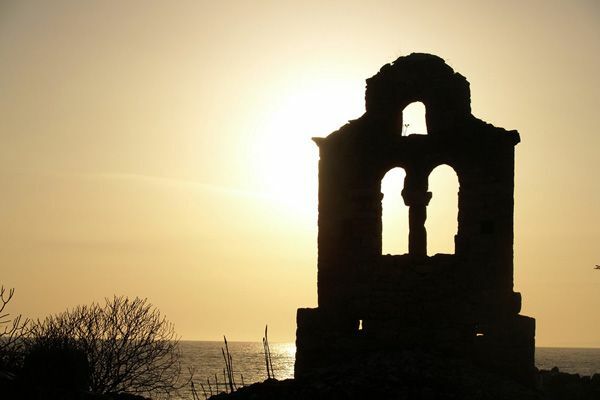 Scores of Many types and styles of Byzantine churches (and monasteries) dating from the 10th Century are scattered all around the region, built and designed magnificently (works of art made by simple craftsmen that many modern builders and architects would envy today). 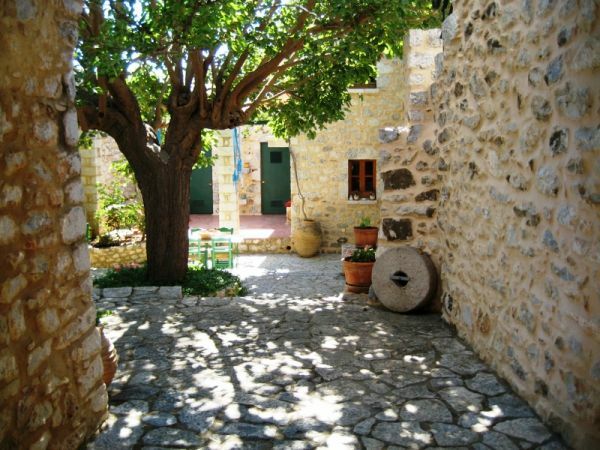 All over Mani, there are olive trees, prickly pear plants, wild pear trees, locust trees, kermes oak trees, a wide diversity of plants and many different types of fragrant shrubs and nettles. The peninsula is also home to many types of rare animals such as the large and rare jet-black raven which, when it flies overhead, casts a dark shadow like a religious bishop over towers, tower houses, alleys, courtyards and anything else that is found in its flight path. When it crows its supremacy, it can be heard over the endless calm of nature along with the sounds of scores of other wild birds, eagles and others. The fearful jackal appears in small groups here and there from dusk to dawn. It makes its presence felt with a whiny sound like a symphony of strange violins. It comes out to hunt for its food, moving with other members of its species as if taking part in a mass demonstration. Moving in such a group gives jackals the courage they would normally lack when moving individually. 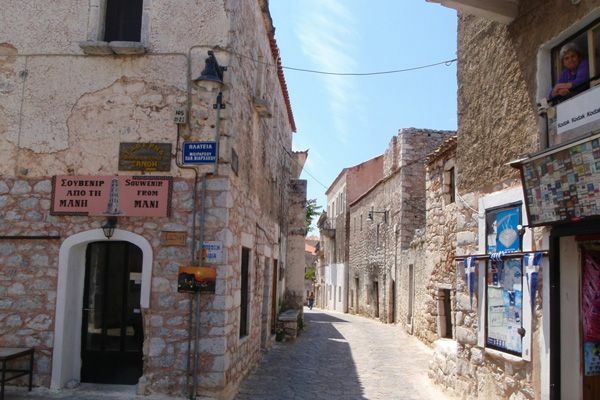 The Archaeological Museum of Mani with its vast collection is open to visitors. Here, one will find a rich collection of finds from every age, from the Stone Age to the Byzantine period. 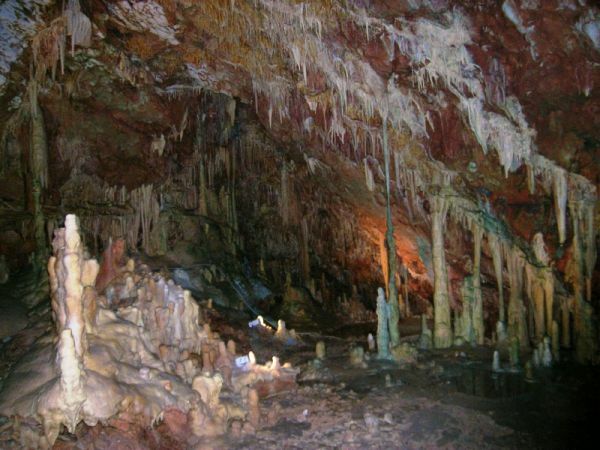 In Mani, visitors can also discover caves such as the one at Diros, the richest cave in the world and there are many castles such as the Maini and Kelefas Castles. 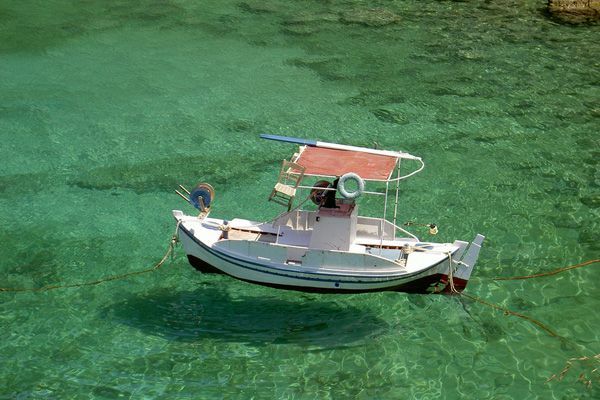 NO MATTER how a visitor chooses to spend their time when in Mani (as the Greek newspaper, Kathimerini (the Daily) wrote on 21/11/1993), they will immediately get the feeling that they are participating in something new and unique. Also, when someone enumerates all the features found in this area – which happens wherever we go – they will find something else, a certain innocence; an innocence that Mani has managed to maintain. Those endless and huge rocks, Mani’s stony landscape, seem to include the hearts of all those men and women who were born on this land. It is an epic written in stone. If we were to comprehend what Mani means – and we should – it is imperative to take every measure in order to protect its mountains, its sea, its rocks and its castles. We must record and defend its language and its dirges so that we can give it life through art. We must do all that we can so that the area does not become corrupted by tourism. We must save Mani’s soul. Mani is like a border area. It has its own borders and they are worth protecting.